He’s been a Jedi master, a wilderness survivor and a man with a particular set of skills. Now, Liam Neeson will put all (or at least some) of those skills to the test as he toplines the airplane thriller, Non-Stop. Via Joel Silver’s Dark Castle Entertainment, Non-Stop is a self-contained thrill ride that takes place on board an international flight. Neeson is in negotiations to play an aging air marshal who faces a threat during said flight, and probably eliminates it swiftly and with extreme prejudice. Hit the jump for more on Non-Stop. Variety reported on Neeson’s negotiations to join Non-Stop. When last we reported on the project, which was picked up by Warner Bros. as a spec script from first-time writers John Richardson and Chris Roach, it was to tell you that Non-Stop would be directed by Jeff Wadlow (Never Back Down). The picture will be financed and produced through Dark Castle, while Warner Bros will distribute. This marks a reunion of sorts for Neeson and Dark Castle, after their last collaboration on 2011’s Unknown. Neeson, who can be seen in theaters currently in Wrath of the Titans and later this year in Battleship was [SPOILER but you probably know by now] recently confirmed as a returning cast member to The Dark Knight Rises. He is also reportedly circling a role as Lyndon B. Johnson in Lee Daniels’ The Butler. 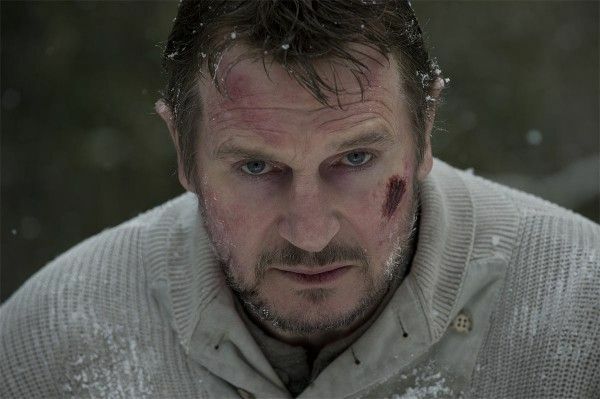 If nothing else, we can look forward to seeing Neeson when he reprises his role as skilled CIA operative Bryan Mills in Taken 2.